Imperial Dental is dedicated to creating healthy, beautiful smiles that will enhance your looks, function, and quality of life. With over 22 years of experience, Drs. Gulotte and Hernandez continue their education by taking advanced courses offering the most recent state-of-the-art techniques. Many of our patients struggle with the decision of what type of cosmetic or restorative dental treatment to do. At Imperial Dental, you can achieve the smile that will regain your confidence to keep you smiling. Call our office to schedule an appointment to discuss your concerns or questions with Drs. Gulotte and Hernandez. 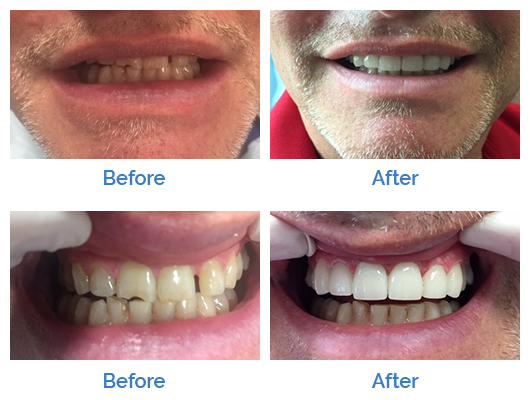 This patient arrived in our office, stating “I don’t like the way my teeth look and I don’t like the space in between my teeth.” Crowns were placed on the anterior to achieve an esthetically balanced smile.